A wounded hero, friends-to-lovers romance not to be missed! 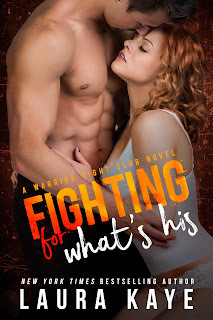 Combining both a romantic and steamy friends-to-lovers plot while highlighting one of the most serious issues soldiers face when transitioning back to civilian life, Fighting for Everything proves worthy as the first book of Laura Kaye’s new Warrior Fight Club series. Former Marine, Noah Cortez, had returned home both physically and emotionally injured. He struggles quietly while trying to move on with his life. He especially doesn’t want his best friend, Kristina Moore, to know how hard things are for him as he attempts to handle his severe panic attacks all on his own. Kristina has known Noah since they were children and can sense his conflicts even when he sends her mixed signals. 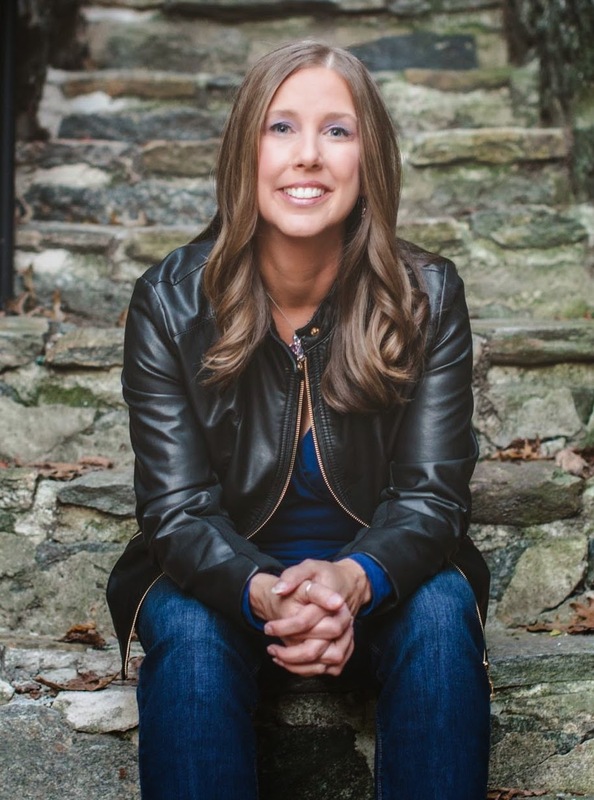 There’s no doubt that Laura Kaye writes wounded heroes so well! That’s one of the reasons why reading her books is one of my favorite guilty pleasures. I love how the characters she writes are always well developed, complex, and possess a great amount of inner strength. Kaye not only guides Noah and Kristina through their own individual struggles, but also carefully develops their relationship from friends to lovers into something that each finds deserving in a lifelong relationship. The introduction of the Warrior Fight Club in this book is also a great launching pad for this series. Kaye focuses on the mental health aspect of returning veterans and the need for them to have access to positive outlets. I found Noah’s story both heartbreaking and engaging as he finds a healthy way to deal with his struggles alongside those who can relate. 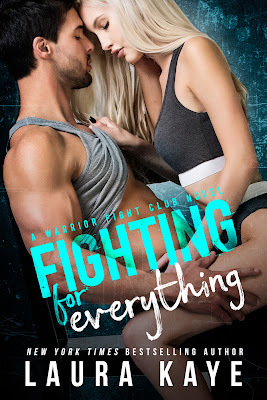 If you love wounded hero stories, friends-to-lovers romances, or have read and loved any of Laura Kaye’s books, don’t miss reading Fighting for Everything! If you’ve already enjoyed Fighting for Everything and crave more of her contemporary romances, then I also suggest Laura Kaye’s Heroes Series (Her Forbidden Hero and One Night with a Hero), Hearts in Darkness, and the entire Hard Ink series.